The Soft Play Centre features three stories with biff bashes, climbing obstacles and a slide down to play inside the ball pond, Endless Fun! One or both sides can be opened depending on the weather to keep the children cool while they jump around and play. 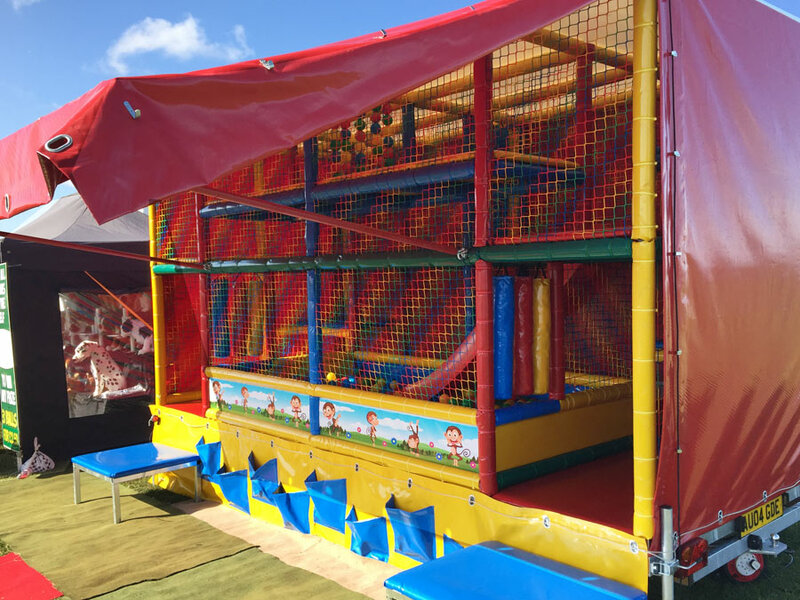 This ride is perfect for birthday parties as well as fairs, fetes and corporate days and is for ages 2-12. This ride takes just 10 minutes to set up!